Talk of Search Engine Optimization, or, as it’s more commonly referred, SEO, has become ubiquitous. But even with its popularity, it’s still often misunderstood and, as result, is not implemented. This is a huge mistake. Simply put, SEO is the practice of complying with search engine standards and recommendations in order to increase the number of visitors your website receives. While seemingly straightforward, without a well-thought-out strategy, it can be difficult to get right. To be successful, your team needs to think about keywords, website copy, on-page optimization, content creation, content distribution, external links, anchor text, crawl diagnostics and more. Sound complex? It is. 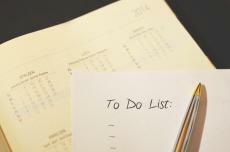 As a result, you may need to hire an external marketing company or an in-house SEO expert. Search engines connect people looking for products and services with businesses that offer them. In other words, search engines are perfecting the art of matching demand and supply. This matching process explains why search engine journal found that SEO leads have a 14.6% close rate, compared with a 1.7% close rate for outbound leads (such as print advertising). An example is the best way to understand this phenomenon. Consider the fictional B2B company, Next Inc. This company offers Leadership Training Courses aimed at helping companies promote from within. Now, imagine that an HR professional at Proctor & Gamble wanted to equip promising young employees with the skills they need to become middle management. That HR professional might search Google for “Leadership Training Companies in Toronto”. If Next Inc. appeared on the first page of Google, the HR professional would likely click on their website. After perusing the site (which is presumably chock-full of engaging, relevant content), that HR professional might then go to the “contact us” page and duly call the sales team. Magic! The sales team has just received an extremely warm lead, without having to lift a finger. Contrast this with cold-calling, an outdated method of generating leads. As a Leap Job study found, only 2% of all cold calls lead to an appointment. The reason? With cold calls, you are trying to educate and persuade prospects from scratch. With web leads, your prospects come to you educated and persuaded, with some as much as 57% through the sales cycle before engaging with a sales representative (according to the CEB). In this way, a robust SEO strategy allows your sales team to focus on closing sales, rather than wasting time hunting for leads. SEO also matters, because without it, your website is a glorified brochure that may have cost tens of thousands of dollars. Granted, a brochure might be visually striking and have plenty of engaging content. But no one will ever see it unless you physically hand it out. Similarly, your website might have great images and well-crafted marketing copy, but without SEO, it will never be found unless you explicitly tell prospects to type in your URL. Why won’t your website be found? There are 60 trillion web pages on the internet; it’s a jungle out there. Luckily, search engines help people navigate that jungle and lead them to your business. Before that can happen, search engines need to be aware of your business’ existence, what products and services you sell, and the quality of your products and services. To educate the search engines on these three points, you need to speak their language; your website needs to be fluent in SEO. When your website is fluent in SEO, it becomes more than just a glossy brochure. It graduates to a lean, mean, lead-generating machine. These leads translate into customers, and customers add to your bottom line, helping your website obtain a healthy ROI. 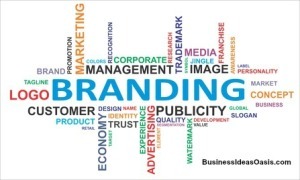 Brand awareness is a measure of how well your brand is known within its target markets. When you have a strong level of brand awareness, customers think about your company first when they need to make a purchase within your product or service category. In today’s digital world, the number of people who visit your website is arguably the most quantifiable form of brand awareness. One way to increase this measure of brand awareness is to have your website rank higher in search engine results pages (SERPs) for particular search terms. 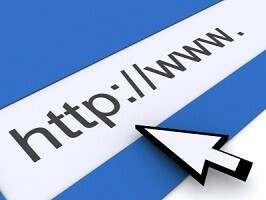 33% of website traffic goes to the #1-ranked website. So, on average, by leapfrogging Google’s rankings from #10 to #1, you increase the amount of website traffic you receive by 1650%. Powerful stuff, right? SEO, when done right, can generate enough publicity to make you the most well-known company in your industry. For more information on how our Toronto Marketing Company can help your organization develop an SEO strategy, please contact us here.